Missouri Gov. 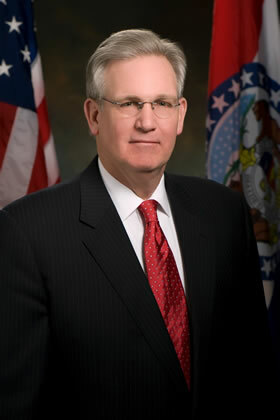 Jay Nixon has proposed eliminating state scholarships to students attending private schools. Currently 1,823 Columbia College students are receiving the Access Missouri grant and/or Bright Flight funding. Nixon said during a March 12 speech, “Missouri has wonderful college and universities, both public and private, but in times like these, we simply can’t continue to subsidize the choice to attend a private school.” According Scott Holste, press secretary for Nixon, the state spent $59 million on students attending private colleges in 2009. President Gerald Brouder said the proposal “would be devastating to a number of families, a number of students.” Brouder said Columbia College is the second-largest private college in the state receiving state funding. “The students are at risk of losing as much as $4 million,” said Brouder. Although some Missourians might not support the idea of their revenue funding private colleges, Brouder said this is a “specious argument.” “Just because the student goes to a private school does not mean they or their parents don’t pay taxes in this state,” Brouder said. Diandra Holmes, creative writing major and senior, said “I received the Bright Flight grant, and I know that without it I wouldn't have been able to function at college. My family did not have any extra income to help me financially with school.” Holmes chose a private college because she needed the small-school atmosphere. “Any of the state’s universities were too big for me, and I would have been lost in the crowd. I might not have done as well in school there just because I would have been overwhelmed with the number of people,” she said. Holmes says students should not be penalized for going to a private school. “Students gain their awards on needs and academic merit. Their needs or merit does not change just because they choose a private school,” she said. With the budget scheduled to be finalized by May 7, Brouder said, “We are running out of time to not only debate this but also have an influence on the governor and the state legislation.” An April 8 event in the Atkins-Holman Student Commons gave students from the college’s Day and Evening campuses the opportunity to write letters to Nixon. More than 100 students have sent letters and made phone calls to the governor. Students who wish to contact Nixon can call his office at (573)751-3222 or send letters to the Office of Governor Jay Nixon, P.O. Box 720, Jefferson City, MO 65102.